MMS - Did you Think? Increase Driver Efficiency & Profits - increase number of deliveries/jobs over the same time period. Eliminate Unauthorized Travel – eliminate unnecessary liability exposure. Limit Speeding Incidents – decrease the likelihood of speeding, number of accidents, worker compensation claims, environmental issues, and loss of equipment and risk. Improve Customer Service – facilitate immediate dispatching, manage customer expectations and provide proof of service/vehicle location. Eliminate Unauthorized Use of Company Assets – monitor after-hours vehicle movement and behavior. Identify Location & Progress – receive immediate asset location and quick resolution of billing disputes. 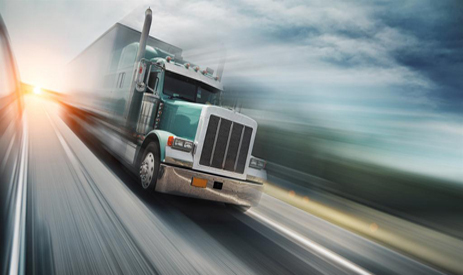 Automate IFTA Reports – receive automated reports of mileage and fuel usage in multiple states. Automate “Off Road” Fuel Tax Rebate – automatically capture idling and PTO time, resulting in tax credits. Equipment Utilization – measure actual utilization vs. reported utilization. Time/ Distance Measurement – understand route optimization to increase productivity. Timecard Management – facilitate automatic payroll and reduces overtime hours. Temperature Monitoring – prevent loss of perishable products. Monitor / Modify Employee Behavior – verify customer visits and time spent with customers. Stop-Location Identification – eliminate side jobs & theft and identify unproductive and dishonest employees. Monitor Job Start & Stop Times – automate job time capture for accurate billing and weekly/monthly job forecasting. Exact Vehicle Location – provide evidence in fraudulent accident claims. Automate Maintenance Service Alerts –receive alerts when service is due – extend the life of equipment, increase vehicle & driver safety and reduce repair costs. GPS Mapping – identify vehicle location and enable rerouting of vehicles. Report Download Functionality – download reports and save them for future reference in the event of an audit, lawsuit, theft, fraudulent claim etc.